Mahmoud Abbas, president of Palestine, is scheduled to speak to students and community leaders at The Cooper Union in New York on Monday, September 22, on his vision of peace between Palestine and Israel. The speech will take place at 6 p.m. in the historic Great Hall of The Cooper Union, located on 7th Street between 3rd and 4th Avenues in Manhattan. His view on how peace and inter-religious co-existence can flourish in Israel and Palestine with the help of the next generation. Why nonviolent protest is the best method by which Palestinians should seek their rights. Why terrorism as practiced by Al Qaeda on 9/11 and ISIS is inconsistent with Islam. The speech may be viewed with live streaming on The Cooper Union website: www.cooper.edu. Most of the available seating will be reserved for students of The Cooper Union and other local universities, as well as youth groups from local churches, synagogues and mosques. A limited number of seats will be made available to members of the public on a space-available basis. Those interested should be on hand at the Great Hall by 5 p.m. on the night of the event. All attendees must bring a government-issued photo ID to gain admission to the hall. All ticket holders will be asked to be in their seats by 5:30 p.m. The speech is hosted by The Cooper Union in cooperation with Churches for Middle East Peace, a non-partisan coalition of national church groups that conducts education and advocacy in support of non-violence and negotiations to end the conflict between Israelis and Palestinians. 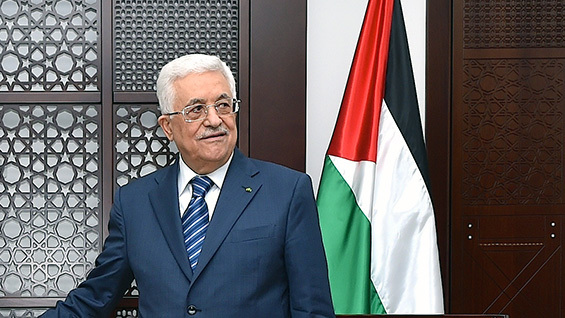 Mr. Abbas will speak to the United Nations General Assembly later this month.